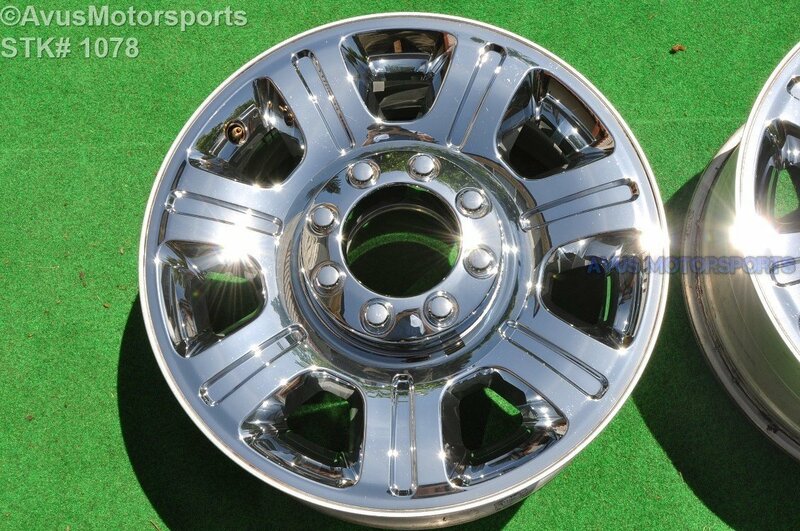 This auction is for ONE (1) authentic 2014 Ford F350 Super Duty 20" chrome clad factory wheel. This wheel is in excellent condition with NO bends or cracks, but there might be minor scratches or blemishes that you'll find on most used wheel. Please review all pics prior to bidding! This wheel has NEVER been remanufactured, repaired or refinished! According to my research this should fit all 2005+ F250 and F350, but please also do your own research!